Talk about a coup! Jack and I ran into author Keith Rommel at last year’s Monster Mania in New Joisey. His absolutely chilling novel, The Cursed Man, is currently being made into a major motion picture. When I say it is one of the most original, thought-provoking novels you’ll read all year, I ain’t kiddin’. I can’t wait for the movie. Keeping up with our vow to bring you interviews with the best in horror, the Monster Men snagged Keith for almost an hour to talk about his books, his path to publication, what it’s like to have a movie made from his book and his favorite monsters. If the publishing gods are paying attention, Keith will become a household name in the very near future. So, kick back, pour a mug of your favorite beverage and get to know Keith Rommel. I was lucky enough to spend some time with one of my favorite guys in the horror biz, Russell James. I’ve been hooked on his writing ever since I read his debut novel, Dark Inspiration. And lucky me, I get to hang out with the guy at horror cons! He has a lot going on this year, publishing enough fresh terror to keep his fans satisfied. Your latest tale of terror, Dark Vengeance, was just released through Samhain Horror in March. What are readers in store for this time around? Laura and Teresa, the heroes from DARK INSPIRATION, are back. A coven of witches has taken up residence in their small town in Tennessee. The coven’s plan is to resurrect an Aztec demon that really has it in for the male of the species. They need to perform a human sacrifice to make the demon’s transformation complete, and they will need to use children. Laura and Teresa are the only ones with the clues a bout what evil is to come, but their experiences in DARK INSPIRATION were too much for their relationship to bear, and they’ve moved apart. They have to pull theirrelationship back together in time to save the children, includingTeresa’s son. Your debut book. Dark Inspiration, just blew me away. I knewthat I was in great company with the new line of horror authors that Samhain had gathered. What made you decide to write the follow up, Dark Vengeance, and can we expect another in the ongoing saga? I had readers of Dark Inspiration ask for more stories about Laura and Teresa, so I got to thinking about the effects on them from what they endured in the first book. I wanted that impact to follow through, toaffect them in the second story, not have it like sitcom episode where everything starts fresh. The new character in this book, who ends up being named Dawn, really intrigues me. We may hear more about her. 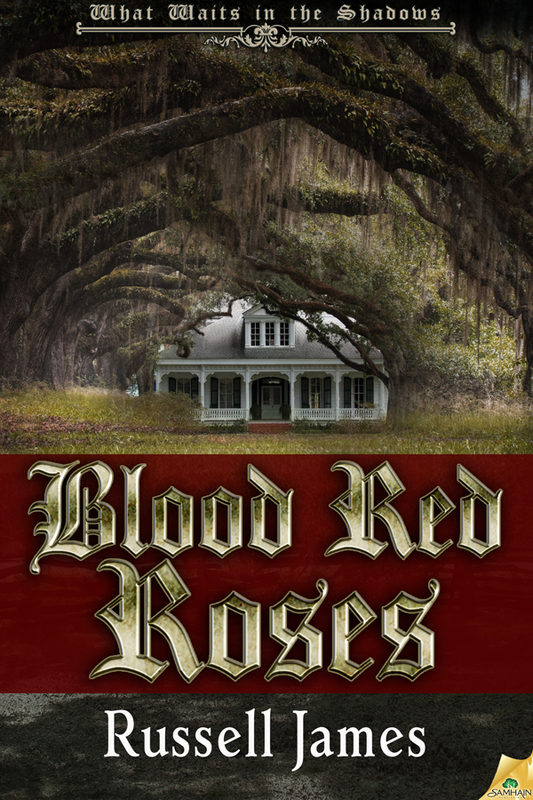 You also have a novella, Blood Red Roses coming out on May 6th (the day before my birthday in case anyone wants to buy me a cake). Tell us a little about it. This novella is one of four that won the Gothic Horror Contest with Samhain. Mine is set on a cotton plantation during the Civil War. An orphan is sold there to work in the stable under an evil overseer, and uncovers a series of slave killings. The more he investigates it, the deeper and darker the story gets, until he finds himself a victim. I read a lot of Edgar Allen Poe ahead of time and tried to put a bit of his style into it to make it feel period-correct. I’ve found a common theme with horror authors in that so many were inspired to pursue the genre by those 70s staples, In Search Of and Kolchak The Night Stalker. What are your favorite episodes of each? In Search Of was just excellent. The episode explaining the Nazca drawings, the enormous etchings on the plains that can only be seen from above, made me convinced to this day we were visited by aliens. Kolchack? Was there a bad episode? Loved that show. And if anyone says Twilight Zone had no impact on them, they are lying. You’ve also been self-publishing short story collections and collaborating with other writers. Tell us about those collections and where people can find them? I started a critique group with five other writers after we finished a Gotham Writing class. All of them have since gone on to be professionally published or to win writing awards, including several Honorable Mentions in Writers of the Future contests. We decided to self-publish a collection of time travel stories called OUT of TIME, and donate the royalties to Doctors Without Borders. It has sold over 5000 copies and generated a nice stream of checks for DWB. I think that having five other good writers deliver some no-holds-barred criticism forced all of us to write better, and it shows in the end product. It is even a hot seller in Great Britain for some reason. We also just put out a fairy tale collection called In A LAND FAR AWAY, also supporting Doctors Without Borders. In the horror realm, I have two collections of short stories, TALES FROM BEYOND and DEEPER INTO DARKNESS. I wanted to give readers an easy way to sample my style before they bought a novel. Both of these have done very well. All of these collections are at Amazon, and listed on my Amazon author page. As one of the privileged few to get an early look at your next novel, Dreamwalker, I’ve come to think of you as the Samhain Magic Man (cue the Heart soundtrack). You definitely have a deep interest in all things magical and mystical. What attracts you to magic? It does appear I have a subconscious pull to power drawn from the supernatural. In DREAMWALKER, the characters use voodoo to access that power. That was some seriously creepy research that convinced me voodoo taps into something truly dark and powerful. In Haiti, voodoo was illegal at one point. Most governments don’t ban something that isn’t a real and present danger. If you ever want to get your family to second guess you, start checking voodoo books out of the library. We’ve both had personal contacts with things beyond what we see as reality. There’s a whole different level out there we’ll someday understand. What’s one thing you can tell people about yourself that you haven’t revealed in other interviews? I went over twenty years without watching a horror movie. When I was about seven, my father took me to see Vincent Price in House of Wax in 3D. Between the 3D and the Technicolor melting faces, I was duck-down-in-the-seat terrified. Except for the 1930’s Universal classics, I didn’t see another horror movie until well into adulthood. Now they are a blast. What was your path to publication like? If you could give aspiring writers one piece of advice, what would it be? I lucked out. I was in that Gotham writing class I mentioned and the teacher said Samhain had opened up a new horror line under the respected editor Don D’Auria. I’d had two short stories published and DARK INSPIRATION’s manuscript was sitting on my hard drive awaiting the slew of rejections that my prior three manuscripts garnered. I figured I might as well start my rejections with one of the best, so I sent it off. I literally dropped to my knees in shock when I got the acceptance email. I honestly still didn’t believe it until the books showed up at my doorstep. Advice to new writers? Write, read, submit. Just keep going. Writing is a skill. Some are gifted at it, but it is still a skill everyone must master. A gifted swimmer still has to train to win an Olympic medal. And that’s what getting published is like, like winning an Olympic medal. The more you write, the better you get. And if you are going to quit when you get rejected, don’t bother trying. I have five published novels, and I get rejections all the time. That part won’t get better. Your future is as bright as a supernova. What’s next for the Magic Man? Before the end of the year, I’ll be in two more benefit anthologies, a space/sci-fi one called CENTAURI STATION, and a second time travel collection called STILL OUT OF TIME. In January next year DREAMWALKER releases from Samhain. I just finished a post-apocalyptic novel manuscript called Q ISLAND, and have a few other cards up my sleeve after that. Don’t blink. You’ll miss something. Set to be released this fall, The Cursed Man novel is being filmed for the big screen. This thriller features Alister’s relationship with Death and the impending doom that has settled in around him, and is sure to leave you with feelings of discomfort and shock. Whether you are a fan of Keith Rommel’s work or new to the series, his new film and most recent release are sure to spark your interest. The Cursed Man is the first installment of the Thanatology Series and is followed by TheLurking Man and The Sinful Man, which is set to come out this May. We got the chance to pick Keith’s brain about the series’ success in an interview and are excited for this year’s releases! Check out the interview and photos below for more about the series. Jonathan Janz is one of the nicest guys you’ll ever meet. If you’ve never read his books, you might assume the mind behind the man is as unassuming as a Norman Rockwell painting. Thankfully, you’d be wrong. Dead wrong. This is a man who knows how to spin a twisted, pulse-pounding yarn. He’s been one busy dude since making his Samhain Horror debut a couple of years ago. I’m both thrilled and honored to interview the man who conjures some of the finest books in the genre. His latest, Dust Devils, is a terrifying tale of Vampires in the old west. Grab a stake, crucifix and some garlic and read on, my children of the night…. Speaking as a fellow author who was writing his own western horror the same time as you, what made you decide to set Dust Devils in the old, wild west? I think—at least at this point in my career—I view most stories through a pretty dark lens. So basically, since I was already a huge fan of western books and films, and I’d been reading a ton of westerns in the past few years, the seeds of the tale began to germinate as those two elements fused together (my dark lens and my western love). Like with most stories, the genesis of Dust Devils was very natural and organic; it was just sort of there in my mind. I wrote the first version of the opening scene maybe six years ago, and then I didn’t do anything with it. But as it is with the best ideas (I’ve heard Stephen King speak about this), the scene stuck with me. Eventually, the characters formed in my mind, and the tale was too powerful to ignore anymore. And Dust Devils was born. Knowing you, the vampires in Dust Devils don’t sparkle. How would you best describe your horrific creations and the new twist they give to vampire lore. In their ferocity, they’re every bit as monstrous as the creatures in 30 Days of Night, so that’s a pretty decent starting place for a modern reader. But the best analogue to my vampires—in fact, the main inspiration for my vampires—is the original Fright Night movie. Chris Sarandon as the lead vampire Jerry Dandridge really terrified me as a child. But he was also the kind of guy you’d want to be friends with (if you didn’t know about his vampirism), or in the case of a woman, he was probably the kind of guy a woman would find attractive and seductive. And those two sides—the bestial and the seductive—weren’t at all mutually exclusive in that character. In fact, one kind of relied on the other for survival. Adam Price, my main vampire, isn’t exactly like Jerry Dandridge, but he’s pretty closely related to him, which shows how impactful Fright Night and Sarandon’s performance were on me. Do you see western horror as an up-and-coming sub-genre, now that we’ve seemingly exhausted the whole zombie thing? I do. I think horror can coalesce with the western as well as any other genre (including action and/or romance). In fact, I think the western works best when it’s an amalgam of all the aforementioned genres. The western is such an amazing kind of story, yet it’s really been marginalized for the better part of what, four decades? I think horror novels can help revive the western, and I think the western can help legitimize horror in the minds of many readers who tend to smirk or scoff at horror. But the fact is, in many ways, western stories and horror stories are kindred spirits. They’re both morality tales that stare unflinchingly into the abyss of man’s tendency to do evil, as well as man’s ability to behave nobly. As for the second part of your question, I agree that zombies as a subgenre have been used a great deal in the past decade and that most of the traditional zombie treatments seem a bit tired at this point. But what I also see—and I’m really excited about this—is that zombies have begun to permeate the realms of horror previously uninfluenced by zombies. And this is a really good thing. I love zombie stories, but I’ve never written a zombie book. However, if you look at my last two novels—both Savage Species and Dust Devils—the creatures in both of those books are influenced by zombies and have zombie-like traits. In Savage Species, the “Children” are firmly entrenched in the tradition of the Wendigo, yet they can return from the dead and are hungry for human flesh. In Dust Devils, a crossbow plays a major role (a nod to Daryl Dixon/Norman Reedus in The Walking Dead), you have a cuckolded husband at the forefront (a Rick Grimes/Andrew Lincoln connection), and a father/son relationship that’s tested in a war with seemingly implacable foes (Rick and Carl vs. the zombies). So even though my novels aren’t zombie novels, they owe a huge debt to the zombie films, books, and television shows I’ve absorbed. Brian Keene’s The Rising is another huge part of what I’ve been doing and thinking. And in that one you have a powerful father-son bond at the heart of the story, just like the father-son bonds at the heart of Dust Devils. If you were living in the wild west, do you see yourself as a white hat or black hat? 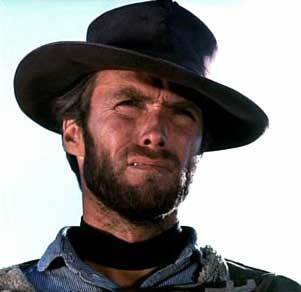 Or would you be a shade of gray, like Clint Eastwood’s character in Unforgiven? And what would be your cowboy name? Clint Eastwood, absolutely. The white hats and black hats aren’t as interesting as the grays, because I think most of us, when you get down to it, are a bit gray. At least I am. Would I hurt an innocent person for any reason? No way. But would I bat an eyelash in defending my wife or my children? Would I be willing to fight fire with fire if need be? I’d like to think I would be. And I think many people would be as well. Now, that sounds good, but what about those situations in which there is no easy or obviously right path? Cody Wilson, my protagonist, finds himself in situations like that in Dust Devils. Does he kill a bad person to save himself even though the bad person might not really deserve to die? Does Cody save his new girlfriend or his stepmother? And how does he make that decision? Those are gray situations, and I think Cody responds the way I would to most of them. And he’s definitely a gray guy—good down deep, but certainly not perfect. Light gray, maybe. Oh, and my cowboy name would be Jack Wilson, just like the father in Dust Devils. I love the name Jack. What would be your top 3 western movies and western novels? OK, hypothetical, you’re called to a high noon shoot-out with a rogue cowboy vampire (who does some acting on the side). You have a holy water infused bullet with a crucifix carved on the side, so you know it will only take one shot to put him down. You see him an hour before the big event, his back turned to you. Do you draw on him and shoot him in the back? If it means I’d save my wife or my kids? Absolutely. I guess that makes me a darker gray, but at least I’m honest. Now…if it would just be to save myself? Maybe. I mean, it would be tougher to live with, so I’d definitely have to pause and think. But in the end I think I’d still shoot him. Because he’s a vampire, and vampires kill. I’d be saving others, as well as myself, so I’d kill him and live with what guilt resulted. Dust Devils is so unlike all of your previous books. Why don’t you tell everyone why they need to read it. It is different, Hunter; you’re right about that. But maybe more than I ever have in a book, I show my heart in this one. I reveal some of my deeper fears, as well as some of my deepest longings. I mean, on the surface, the tale is a tense thriller with all the elements of great storytelling—strong dialogue, internal conflict, fierce action, life-or-death stakes, romance, friendship, and deep familial bonds. But it also contains a man with many regrets, a severed father-son relationship, a woman who’s been abused and who longs for something better. There’s a very powerful heart in this book that I think readers will respond to. But as I said earlier, there’s also a fast pace and an electricity that’ll sweep the reader along. The three major action set pieces in the story (the opening scene in the valley, the bloodbath in the saloon, and the final shootout/fight at the ranch) offer more action than you’ll find in almost any western I can think of. So I think it’s a crowd-pleaser that’ll stick with audiences long after they’ve read it. What’s next for you, since I assume you never sleep. Well, if all goes as planned, I’ll have both a novel (my first-ever sequel, Castle of Sorrows) and an unannounced novella coming this summer. In January of 2015, I’ll have The Nightmare Girl, a Joe R. Lansdale-influenced suspense/horror novel that delves into the ancient Irish fire myths. This summer I plan on writing at least two novels, but I can’t talk about those yet for various reasons—I mean, I can talk to you about them, Hunter, but I can’t talk publicly about them. Thank you so much for having me on your blog, my friend. You are without question one of my dearest friends in the business, and a writer whose work I love and deeply admire (even though it makes me jealous sometimes).